A well-chosen program of music for violin and piano, drawn from the period in the late nineteenth century known as ‘Romantic’. Yet as well as being from that period it is Romantic in nature. Brahms wrote three substantial sonatas for violin and piano, each of them admired, and he also wrote a sonata in collaboration with Robert Schumann and his pupil Albert Dietrich. It was a gift to their friend Joseph Joachim, himself a composer and also a virtuoso violinist who was to inspire many more works from Brahms, Schumann and Dvořák among others. The 4 Romantic Pieces of Dvořák were not written for Joachim, and are not greatly demanding technically – but are a perfect illustration of just how tuneful the composer’s music can be, and how through great simplicity he could write music of great expression. There is charm and wit in abundance here, music that seems to celebrate the great outdoors. The Violin Sonata by Belgian-born French citizen César Franck is one of the chamber music masterpieces of the nineteenth century. Treating the two instruments very much as equals, it is memorable firstly for its dreamy first movement theme, which creeps in like a summer breeze, then for the darkly passionate movement that follows it. After the freedom of the third movement Franck plays his trump card, a ‘canon’ – that is, where violin and piano play the same melody but a little distance apart. This one is a beauty. 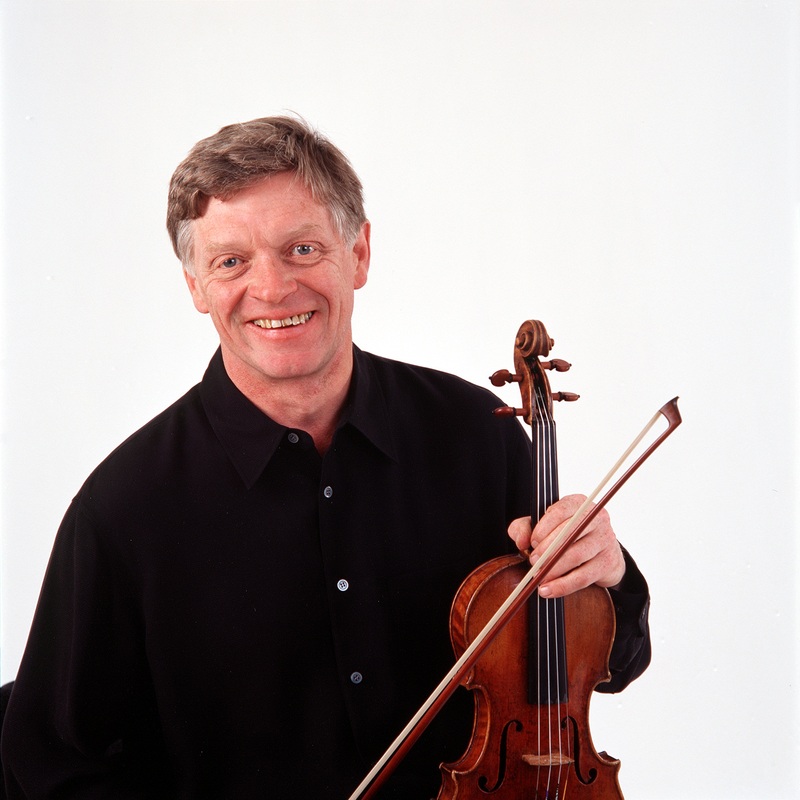 This was a particularly moving concert, given a short while after the announcement of the death of Peter Cropper, first violinist with the Lindsay String Quartet and a close personal friend of Martin Roscoe. 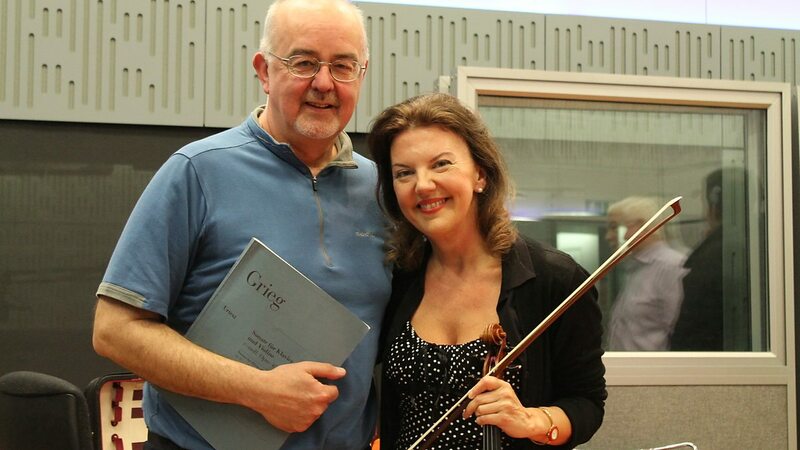 Not only was Roscoe intent on going ahead with this concert, he and Tasmin Little chose to dedicate their performance of the Franck Sonata to his memory – and in doing so they paid a deeply meaningful tribute. The Franck is a lovely work and both Little and Roscoe brought out the deep-seated passion of the second and third movements, dovetailing beautifully with the charm of the outer movements. Roscoe was extremely responsive so that the melodies were passed back and forward with ease and enthusiasm. The Dvořák Romantic Pieces were also extremely appealing, their apparent simplicity still given plenty of depth in this performance, with an especially poignant last piece. Warmth and wistfulness combined irresistibly in the first and third pieces, while for the second country dance it was as though someone had flung open the windows of the hall! It was like that too for the Brahms Scherzo, which Little began almost before Roscoe had sat down, such was her eagerness to get on with it. The music surged forward as though intent on devouring everything in its path. 1:26 A surge of excitement as the piece begins, the violin using its lowest string and the ‘G’ an octave above it. The swaying motion of the theme is typical of Brahms, who often writes in triplet rhythms, and it creates an appealing syncopation, an ebb and flow between violin and piano. There is a triumphant coda from 6:30, crowning this piece by the young Brahms with a flourish. 8:32 The first piece is warm and a little wistful, affectionately played. 11:48 The second piece is a grander affair, but also takes on the form of a country dance. 16:43 A shadow falls over the sunshine created by Dvořák in the first three pieces, with music of introspection and contemplation. There is however still a positive ending. 23:40 A dreamy introduction from the piano, which hovers on an exotic chord until the violin comes in with the tune, also in a dreamy state. The mood becomes more passionate – amorous perhaps – and Franck manages that expression with very little variation to the tune itself. 30:00 The second movement begins with the turbulent rumblings of the piano, which give way to a passionate violin theme. At 33:35 this reaches a natural climax, before the turbulent theme is heard again. The onward flow of the music is impressive here, a torrent of notes – so much so that there is applause at the end of this movement! 38:05 – A ‘recitative’ forms the third movement – that is a passage of freedom for the violin, after the piano has set the scene. This gives it the opportunity to show off in a semi-improvised way, and after this the violin and piano exchange ideas, leading to a natural climax point at 41:10, the music at its most passionate again. There is a strong reference to the sonata’s opening at 43:30 – an example of Franck’s ‘cyclical’ way of writing, where he brings back themes from earlier in the work. 45:07 The canon, as described above, begun by the piano and followed by the violin. Franck writes it rather sweetly, with an innocence that proves touching throughout, but again it grows in stature. The violin and piano spend much of the movement imitating each other’s melodies in this way, with references to the first movement, before returning to the main music at 49:57 and then an uplifting finish. 53:00 An encore of Brahms’ Hungarian Dance no.5, probably in the arrangement by Joseph Joachim, as described above. Little plays this with great theatricality, Roscoe very sure-footed (or should that be handed?!) by her side. A rather attractive companion piece to both the FAE Scherzo and the Franck Violin Sonata is Brahms’ Violin Sonata no.2, a summery piece that finds the composer in relatively relaxed mode. A nice complement to this is the shorter but quite fiery Légende by the Polish composer Henryk Wieniawski. Meanwhile a piece that joins everything together nicely is another red blooded piece of chamber music by Franck, his Piano Quintet, which in the right performance offers some high voltage music making! The one on this playlist, by Sviatoslav Richter and the Borodin Quartet, leaves absolutely nothing to chance. Meanwhile a piece that joins everything together nicely is another red blooded piece of chamber music by Franck, his Piano Quintet, which in the right performance offers some high voltage music making! The one on this playlist, by Sviatoslav Richter and the Borodin Quartet, leaves absolutely nothing to chance. This entry was posted in In concert, Small scale and tagged Antonin Dvořák, BBC Radio 3, César Franck, Johannes Brahms, Joseph Joachim, Martin Roscoe, Tasmin Little, Wigmore Hall by arcanafm. Bookmark the permalink.